will need to be more confined. 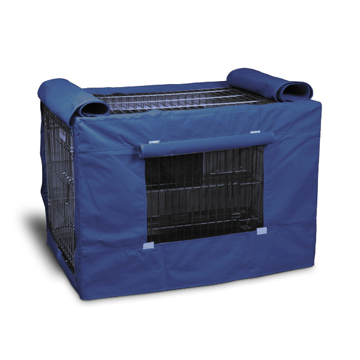 Portable exercise pens, like Precision Play Yards, provide a safe, confined, and portable play area for your pet for the times when he just can’t run free. 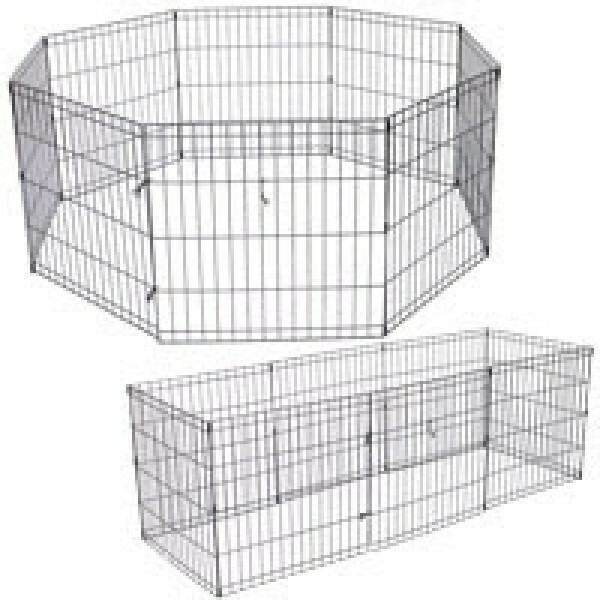 We also carry several wire training crates as well as carriers and kennels, available in a variety of sizes, for use when your pet needs a safe, cozy place to sleep or travel in. 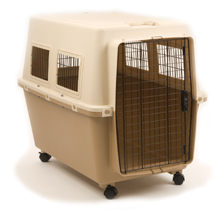 The Unleashed Dog Crate is designed with durable black epoxy coated bars. The safer, rounded corners, and closer wire spacing are designed for added safety and strength. 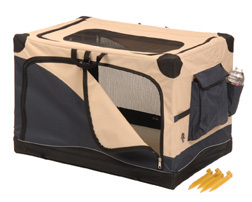 With a door at one end, and on the side, the collapsible kennel is easy to transport and store. 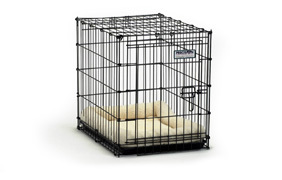 With a durable leak-proof black plastic pan, the kennel is ideal for creating a “den” for your dog. 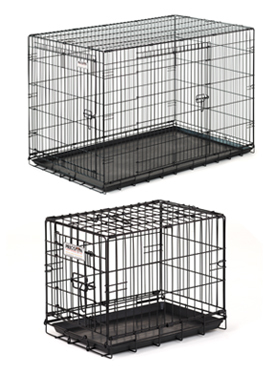 All the crates (except B101) have a dividing panel included, which allows your kennel to grow with your puppy when you are crate training. 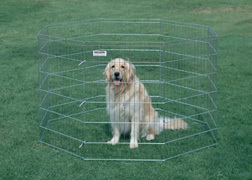 A durable, zinc coated exercise pen that includes eight 2 foot wide panels. The durable pen folds flat in either direction so it is very easy to transport, and simple to set-up or take down. With dual folding hinges, the pens can be designed into several different configurations, allowing flexibility for pen placement. 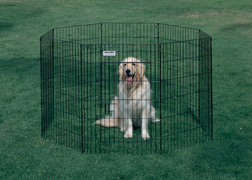 The exercise pen has no exposed screw, wires or pins, and is a safe way to keep pets away from danger, providing their own space. The X-Pen includes 2 bolt snap fasteners. Available in 6 sizes: XS (18″ high panels), Small (24″ high panels), Medium (30″ high panels), Large (36″ high panels), XL (42″ high panels), XXL (48″ high panels). Whether transporting puppies, safeguarding them at shows, or even protecting your furniture from their sharp little teeth, puppy pens solve many needs. Hygienic floors that won’t pinch puppies’ paws folds flat for easy Transportation and Storage. Adjustable Floors Elevate to Keep Dogs’ Coats Away from Dirt and Mess Top and Side Doors for Easy Access. Pans Slide Out for Easy Cleaning. NEEDED Front and Rear Security Hooks for Increased Stability Taller Crate for Increased Head Room Assembles and Disassembles for Easy Storage. Black Epoxy Coat Finish Smooth Glide Door Latch Galvanized Pan The Most Affordable House-Breaking Solution! Designed to Compete in Quality and Price. Double Doors Add Flexibility at Home and in the Car (Top Door on Sizes 1000 and 2000; Side Door on Sizes 3000-6000). Safer Rounded Corners and Closer Wire Spacing for Added Safety and Strength. Fully Assembled and Ready to Set Up. Available in sizes for dogs up to 110lbs. 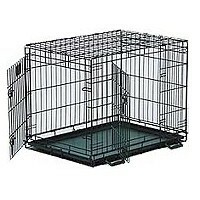 A secure sanctuary for pets indoors and outdoors. Rollup doors and windows provide easy access to crate handle, privacy and ventilation. Universally fits most wire crate models. E-Coated Wire Doors and Windows Meets international airline requirements. • Fold-N-Store Design Ready-to-Go When You Are! • No Tools Required Water Resistant for Indoor/Outdoor Reinforced Corners and Seams. • Convenient, Comfortable Carry Handle Heavy-Duty Zippers. • 4 Reinforced Doors (3 Side and 1 Top). • Removable, Washable Mat and Cover. • Non-skid Feet Protectors Rear Pockets for Accessory Storage. 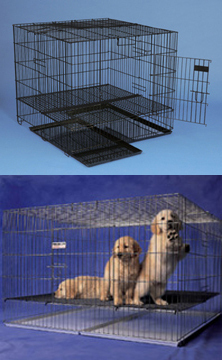 Sizes available for dogs up to 90lbs. Durable, Economical and Easy to Transport. Dual-folding Hinge Makes Adding/Removing Panels Easy. Folds Flat in Either Direction, Takes Up Less Space and Sets Up and Folds Up Easily. Bolt Snap Fasteners Included Eight 2 ft-wide Panels. Comes with Long-lasting Silver Zinc Coating. Optional Tops Available: 48 in. Panels Serve as Tops for Pens. Available in Long-lasting Black or Gold Zinc Coating, the Toughest on the Market and a Wise Investment for Serious Professionals and Pet Enthusiasts. Folds Directly into Itself, Taking Up Minimal Space, Consuming Less Time in the Setup and Take-down Processes.